I am working on a few shirts for my daughters with empowering sayings. 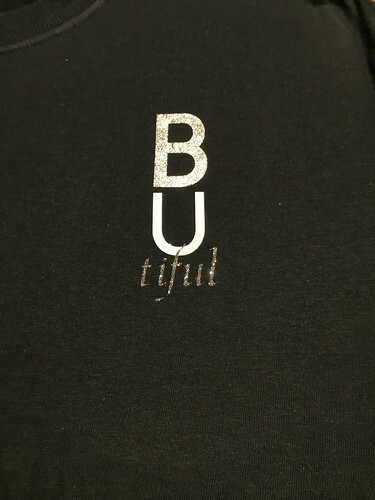 The first is this B U tiful shirt. It stands for being yourself or B U (be you) is beautiful. I used three different kinds of iron vinyl from Cricut - silver, white and glitter. My daughters wanted the design to be where a pocket would be on the t-shirt so the design is rather small and cutting the glitter vinyl was a bit difficult. You can see in the f that it went a little wonky. But overall, I still like the design because you don't have to be perfect to be beautiful. Your imperfections make you - you! 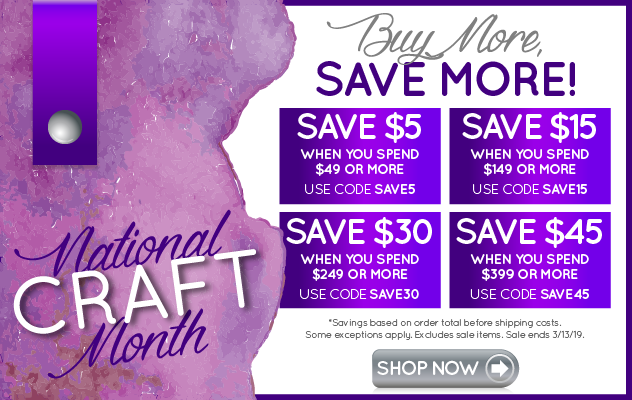 This post is a part of the Iron On Event for July with Angie from The Country Chic Cottage, Carolina with 30 Minute Crafts, Jen with 100 Directions, and Jessica with Mad in Crafts. 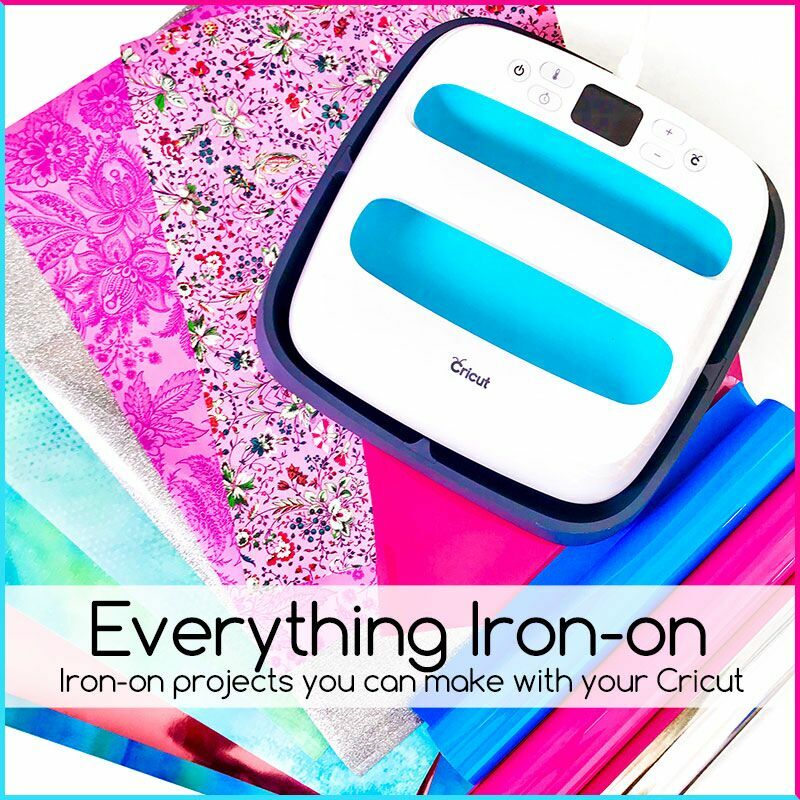 Make sure to head to the bottom of this post to enter to win a Cricut EasyPress and get more iron on vinyl project ideas! 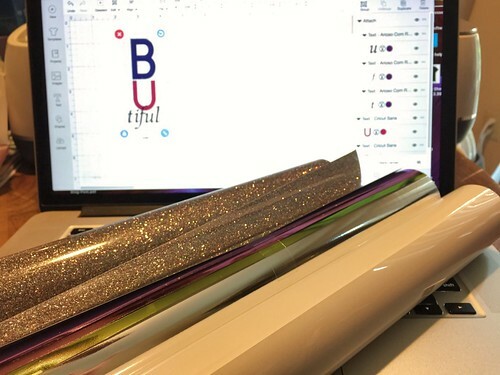 this file was created in Design Space using Cricut fonts. The link to the file is up in the materials list. The Maker cutting the iron-on vinyl. Remember to mirror the image when using iron-on vinyl. 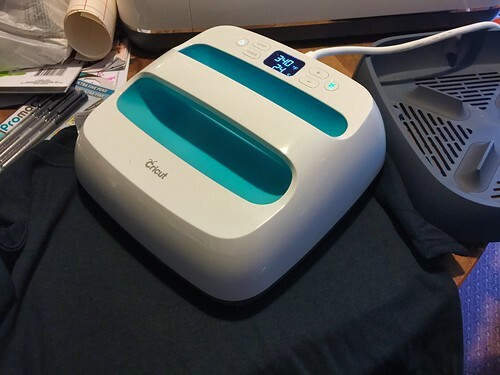 Using the EasyPress to iron-on the vinyl. *tip* I like to use my EasyPress on the shirt prior to placing the iron-on to remove any wrinkles or moisture that might be in the fabric. The finished design, it isn't perfect but I like it! 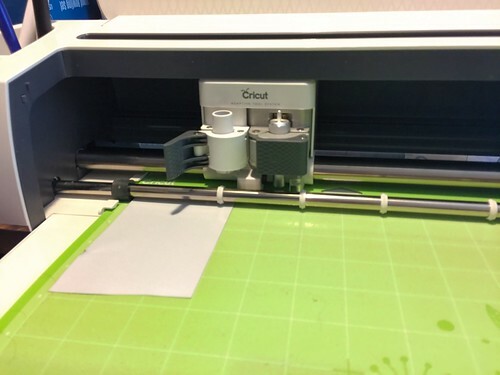 Want to make all of your iron on projects easier? You need an EasyPress! Win one below.